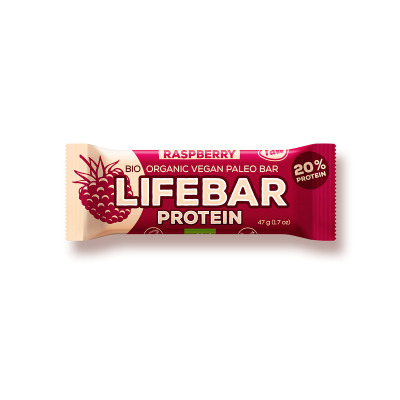 The new line of Lifebar energy bars with a high protein content for maximum performance during your training. Supports your muscle growth and offers a pure, natural and tasty way to repair and restore cells in the body. 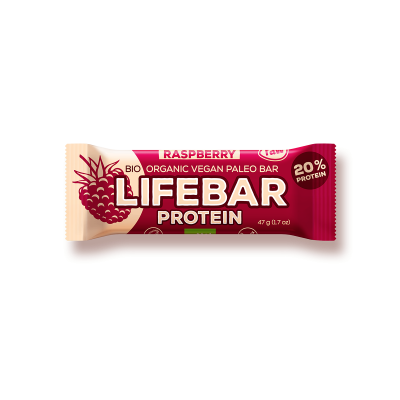 Dates*, Rice Protein Powder* (16 %), Freeze-Dried Raspberry Powder* (5,5 %), Almonds* (5 %), Pumpkin Seeds*, Extra Virgin Olive Oil*, Unrefined Sea Salt, Ground Vanilla*.